Find rest and relaxation in the towering ceilings and spacious bedrooms of this great home. Fronted by a wide front lawn and porch with beautiful stonework, this home's two story living room and open concept will satisfy even the most picky house hunter. There are fun times to be had in the charming eat-in kitchen with double oven and island. Upstairs master with trey ceilings and a separate tub and shower, plus bedrooms big enough for children of all ages. Sprawl on your back deck and enjoy great views of the backyard. 5241 Hampton Mill Drive, Flowery Branch, GA 30542 (MLS# 6514471) is a Single Family property with 5 bedrooms and 5 full bathrooms. 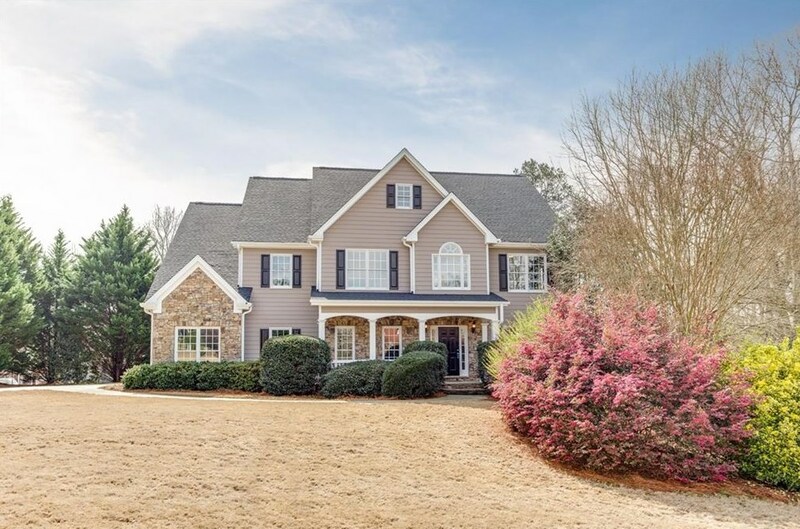 5241 Hampton Mill Drive is currently listed for $379,900 and was received on March 05, 2019. Want to learn more about 5241 Hampton Mill Drive? Do you have questions about finding other Single Family real estate for sale in Flowery Branch? You can browse all Flowery Branch real estate or contact a Coldwell Banker agent to request more information.